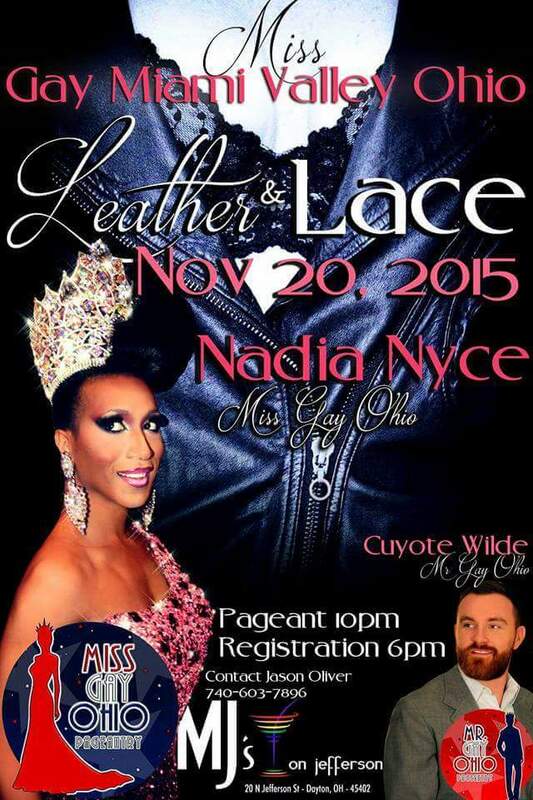 Miss Gay Miami Valley is a prelim to Miss Gay Ohio. 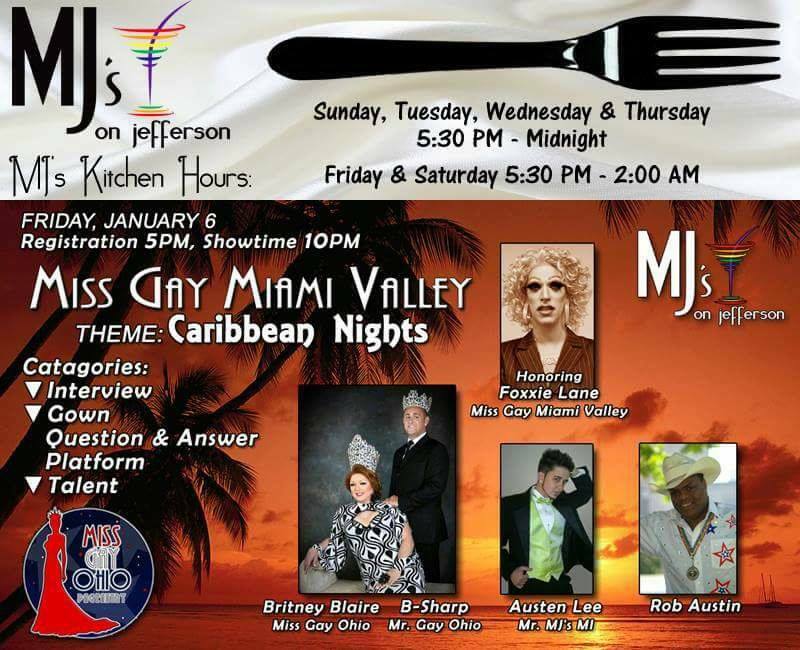 Miss Gay Miami Valley Ohio 2018 at MJ’s on Jefferson in Dayton, Ohio. 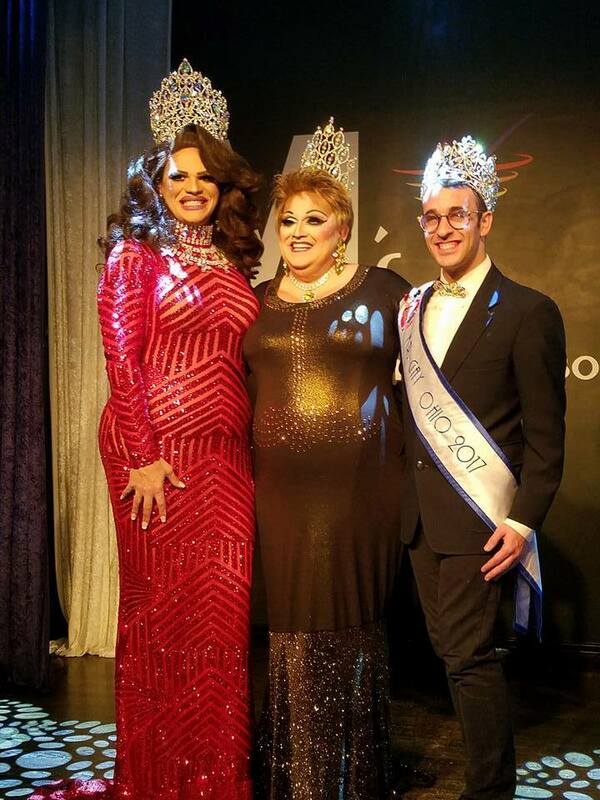 L to R: Ava Aurora Foxx (Miss Gay Ohio 2017), Tori Daniels (Miss Gay Miami Valley Ohio 2018) and Matthew Allen Meade (Mr. 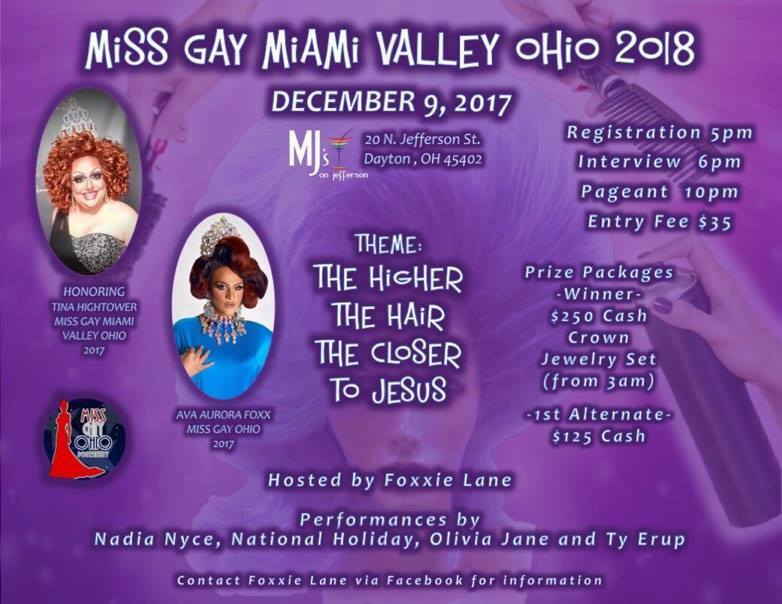 Gay Ohio 2018).